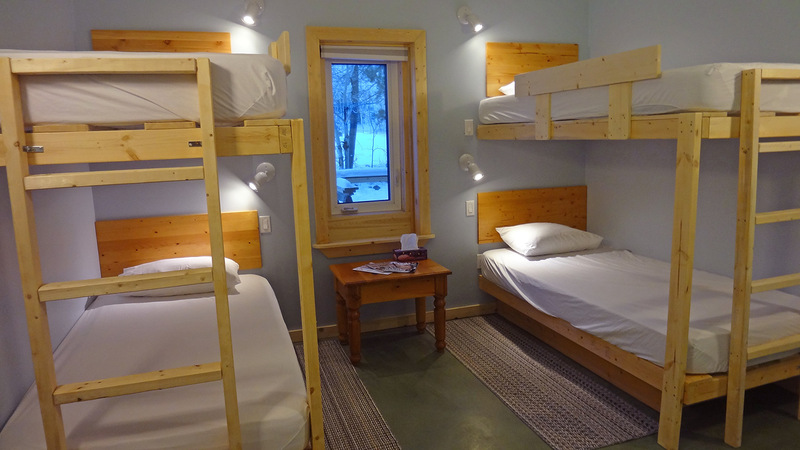 Rooms all have 2 sets of bunk-beds (4 beds per room). All prices include tax. *Weekly rate – stay 7 nights and pay only for 6. *In our booking system, If you would like to rent a private room and the option is listed as unavailable, you may select 4 beds in a single room and we will give you the private room rate of 125$ rather than 140$. Payments – cash, Visa, Mastercard, debit or Discovery card. We do not accept American Express. Book online by clicking the button above or call us at +1-867-456-8004 You may also email us at camp@yukoncampground.com. *For last minute reservations, it is best that you call or book online. 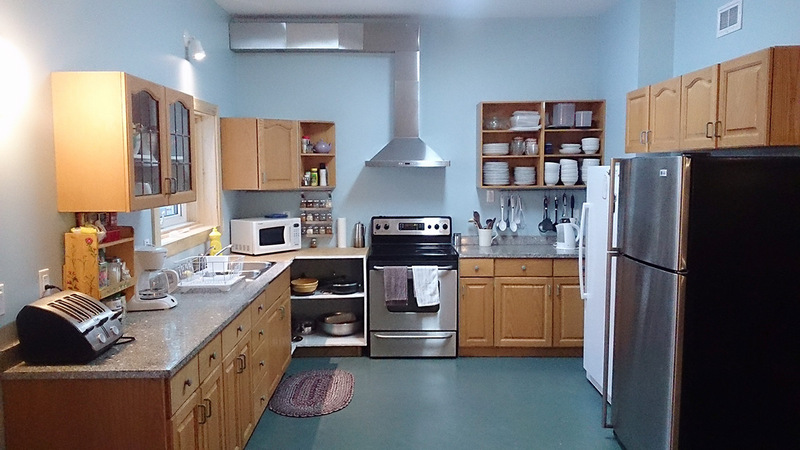 Our newly-built hostel is located 28KM from downtown Whitehorse. 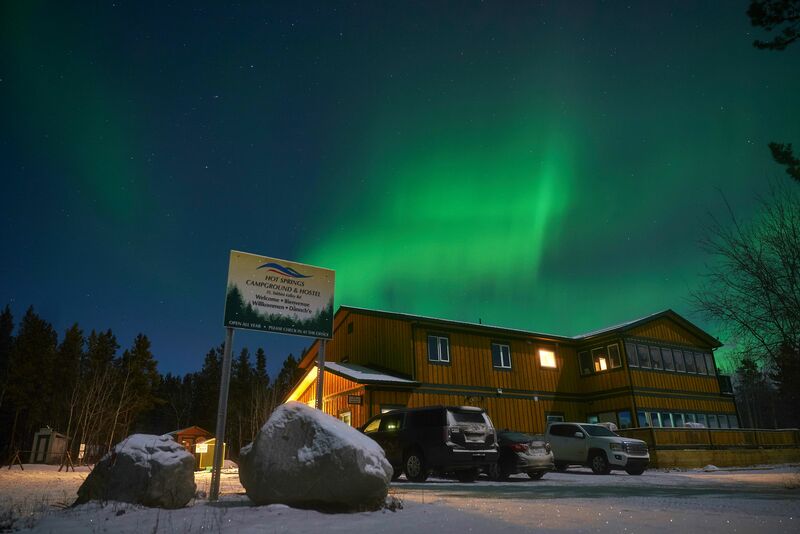 Our forested campground provides excellent northern lights viewing. Our edge-of-the-wilderness location provides access to trails for walking, biking, snow-shoeing and cross-country skiing. The Takhini Hot Pools are only a 2 minute walk away, and all our guests receive a 20% discount at the hot springs and a 15% discount at the Yukon Wildlife Preserve. There is also Yukon Escape Games on the property with two escape rooms. They are only open seasonally from May to mid September. 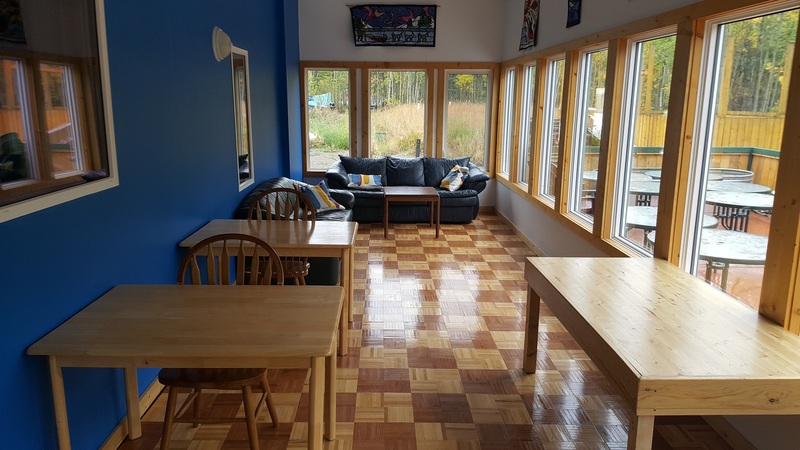 We are also a 10 minute walk from the Yukon Wildlife Preserve. Takhini Gas is located only 10km away, they sell a variety of hot and cold food. -Co-ed dorm rooms (20 bed capacity). -Pillows, pillow case, and fitted sheets are included. Bring your own sleeping bag or blanket or rent one from us at a cost of $7. -Wireless internet with limited bandwidth. -Satellite TV and DVD player (150+ movies DVDs!). -Seasonal sunroom for lounging and a large outside deck. -Fire pits available as well as firewood. -Check-in time: 2pm to 10pm *extra charges apply to check-ins later than 10pm. During low season (September 15th to April 30th), all reservations must include a check-in time to ensure someone is on site to check you in. 24 hour notice is required for reservations during low season. E-mails and answering machine may only be checked once daily in low season.